Yesterday the team was taken out by the local council. They spent some time at a nature preservation centre before being taken on a boat ride down a city canal and on through a lagoon. Wildlife they encountered included many types of birds attracted by the pollution in the river. 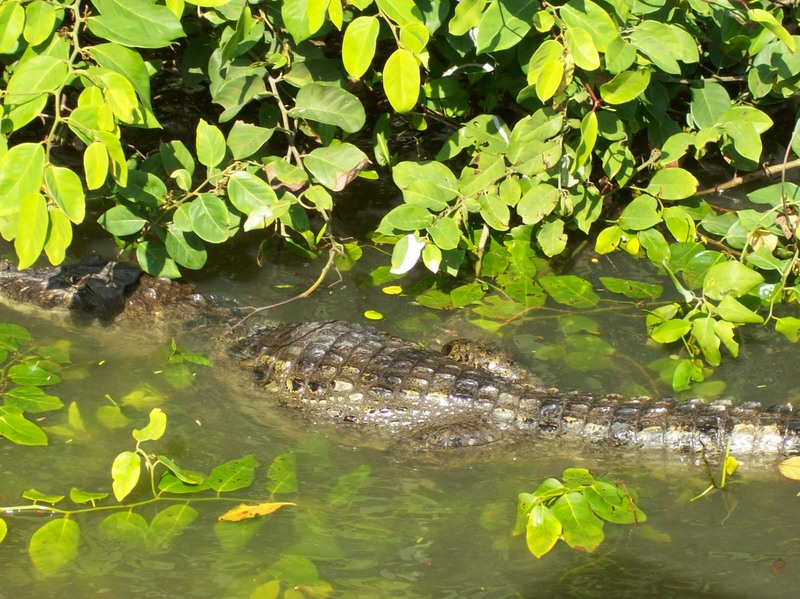 A number of crocodiles also made an appearance. Fortunately they don’t attack humans. Unfortunately the flying fish were reluctant to have their photographs taken. 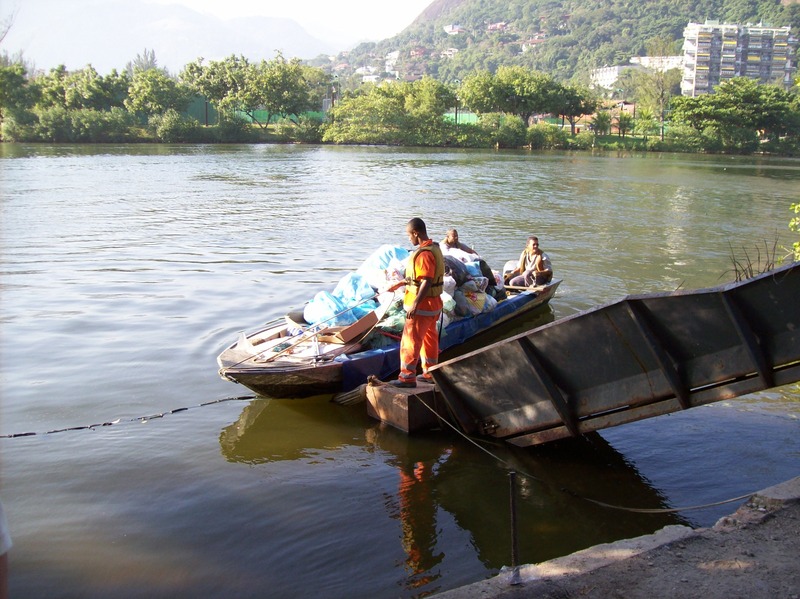 After that the team was shown the work of a river-based garbage collection team. This was of particular interest to Georg who, in his professional life, specialises in waste management. The evening presentation was in a huge lebanese social centre designed by architect Oscar Niemeyer. 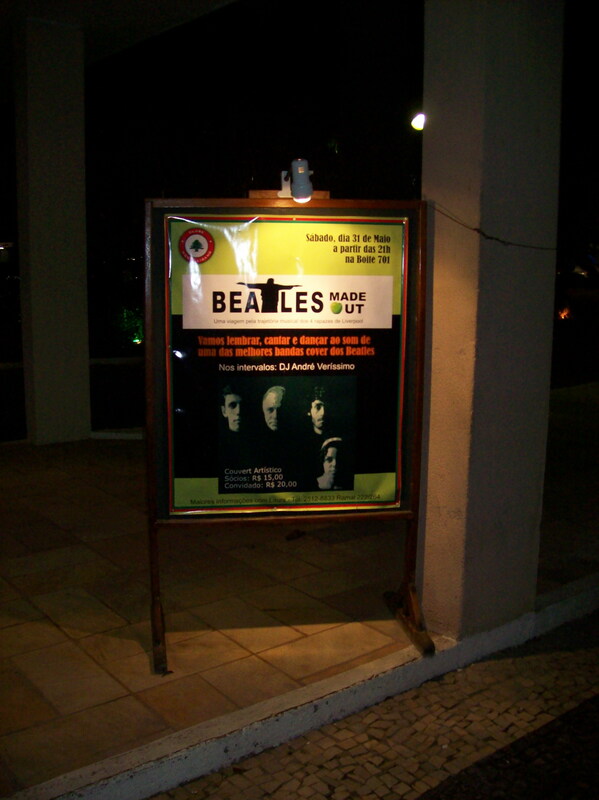 Posters at the gate announced the recent appearance of a Brazilian Beatles tribute band.